What started as "just a new activity" to spice up an otherwise routine civic-military parade, awarding ceremonies and a literary-musical program for a city charter anniversary, Bacolod City's MassKara Festival is now 3 years short of its third decade and has already become of the entries of the Philippines to the global tourism community. The MassKara Festival of Bacolod City has repeatedly represented the country in some major festivals in Asia, notably in the Chinggay Festival in Singapore in 1998, the Lunar Festival of Hong Kong in 2001, in the International Tourism Festival of Shanghai in 2004 and in the Midosuji Festival Parade of Osaka, Japan, emerging as champion in the foreign category and first runner-up in the local category - the first award to be given to a foreign participant in the 10-year history of that Japanese festival. Among the Philippine festivals, MassKara is one that has also been to almost all major festivals in the Visayas and Luzon. mostly on exhibition performances. During the 23rd Asian Games held in Bacolod City in November 2005, the MassKara dance got the most applause from the athletes, visiting dignitaries and the international press covering the event. The word MassKara has a double meaning. First, it is a fusion of the English word "mass" or many and "kara", the Spanish word for "face." MassKara then becomes a "mass of faces," and these faces have to be smiling to project Bacolod already known in the late 70's as the City of Smiles. MassKara also is the dialect "maskara" for the English word mask, which gives rise to the use of giant smiling masks in varied hues, colors and brilliance which the gaily costumed dancers wear as they stomp, swing, pulsate and gyrate in the major streets of the city every third weeded nearest to the 19th of October, which is the City Charter Anniversary of Bacolod. 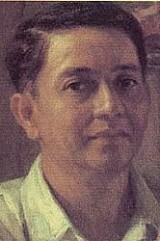 The concept of combining the English word "mass" and the Spanish word "kara" is a mind product of the then Art Association of Bacolod president, the late Ely Santiago, with the support of the late city councilor chairman of the committee councilor on tourism, Romeo Geocadin and the then Negros Occidental Department of Tourism head and now city mayor of Bacolod, Atty. Evelio R. Leonardia, the concept has become a reality, with the city having her first MassKara Festival in 1981. After two or three years, the MassKara would have died a natural death. But thanks to the tenacity of an Evelio R.Leonardia to lobby at the city council and to initiate the movement among tourism stakeholders, the festival moved on, year after year, despite political economic, natural or man-made impediments. Now, after 28 years, it has not only attained its recognized festival stature- as a national ANVIL awardee of the Philippine Public Relation Society - but also as one major tourism identity for Bacolod City. Through the years, MassKara has evolved and has undergone a lot of changes from its attempt during its start in 1980 to be historical by portraying vignettes of Philippine history, to the time when it has become a symbol of survival, when the sugar industry as the lifeblood of the Bacoleños continued to plummet down. The long years of affluence and abundance brought about by the sugar industry, with Bacolod as its center of trade and commerce, has made the Bacoleño a lover of the good life. He knows how to laugh heartily while his fine taste is seen in his cuisine, in dressing, the sports he indulges in and the kind of car his bulging pocket chooses. But beneath all these, he is also resilient because he knows how to take things in stride in times of crisis. He can still smile as sincerely as during the times of plenty. Decades after the backlash of the sugar industry, Bacolod now no longer depends on this cash crop and the Bacoleño still celebrates life along the mainstream of contemporary events, industry and technology. The MassKara Festival is here to stay, an icon for Bacolod as the City of Smiles. Today, with the more than four hundred fifty thousand Bacoleños giving their warmest smiles, MassKara becomes a festival of a thousand smiles per minute, projecting the Bacoleño's ability to smile, to be gregarious and charming and to shoe his instinct to survive and triumph over trials and challenges. MassKara is not history nor is it anchored on any historical, religious or cultural event. Artistic, yes. MassKara is simply his story, that is the Bacoleño as a human being whose innate capacity for goodness, happiness and beauty is expressed in the sights, sounds, color and rhythm of a people celebrating the might and bounty of a Great Creator.